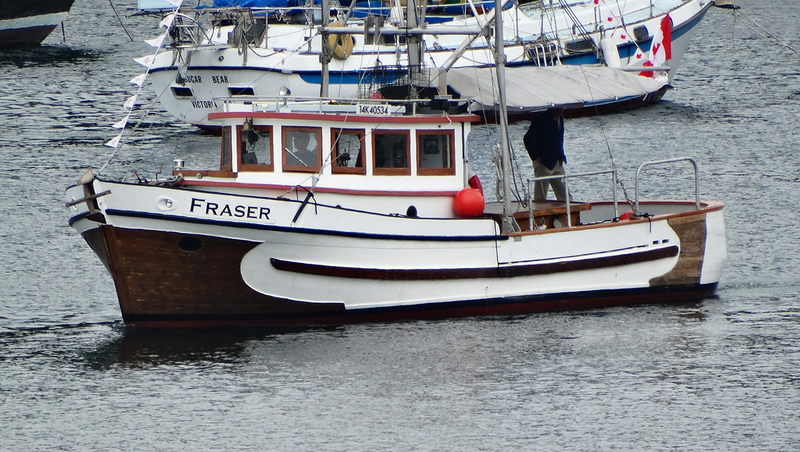 I believe the Fraser was originally the Fraser Belle, built in 1959 by Masao Kamachi at Kamachi Boat Works at Queensborough. 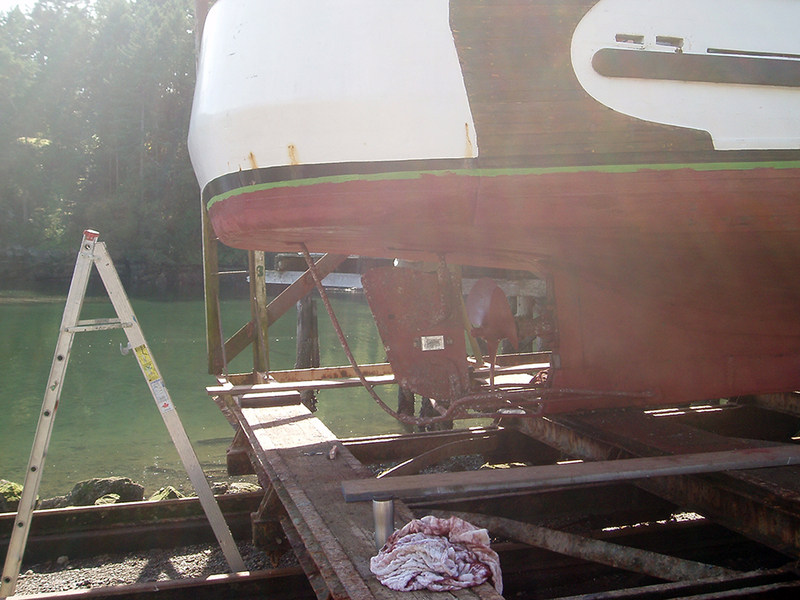 Masao owned the boat until 1961 so may have fished her those first few years. 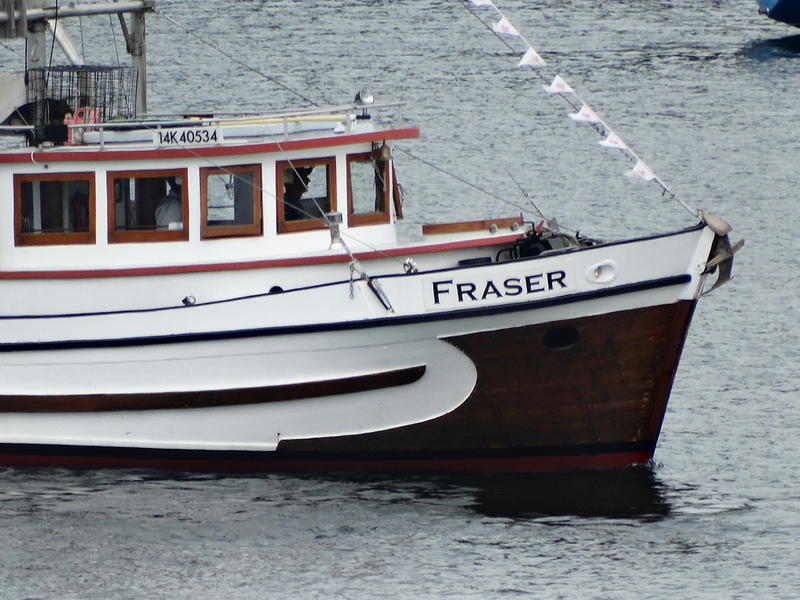 Her Official Number is 311271, registered at New Westminster. 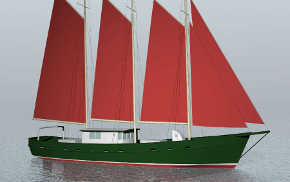 Gross tons 12.0, dimensions – 32’ x 10.3’ x 4.8’. 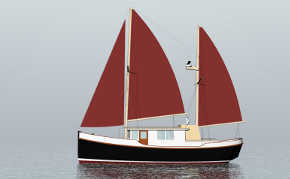 The Kamachi Boat Works yard existed for about 20 years, from 1956 to 1986. 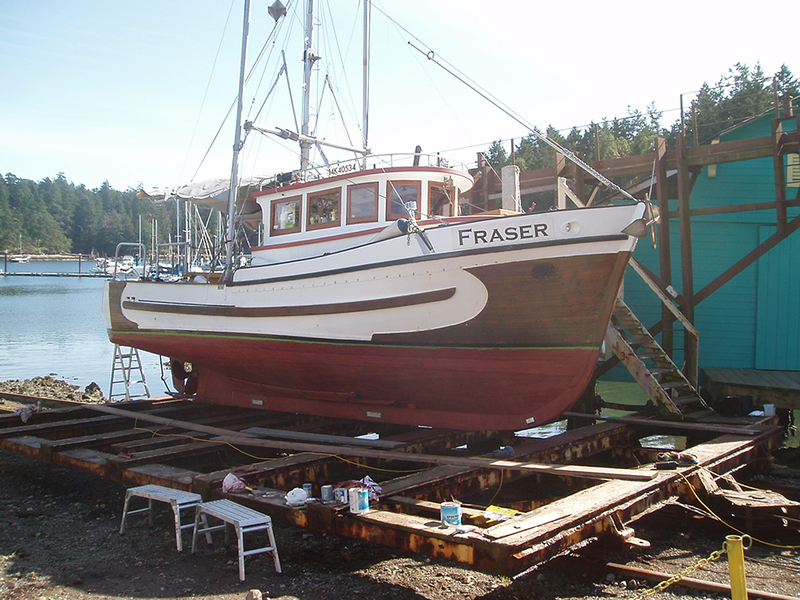 Later Masao was a partner in Queensborough Marine Equipment. 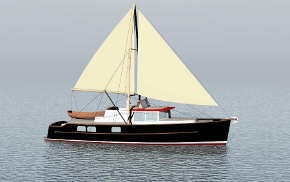 The Kamachi yard employed other family members, including Shigeaki and Masaji Sho Kamachi, who also built and owned various boats in their own names. 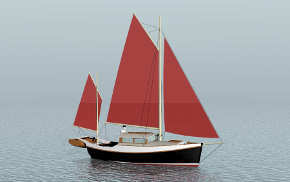 Note the running gear tucked up tight, almost in a hollow under the stern, and well forward away from the net. 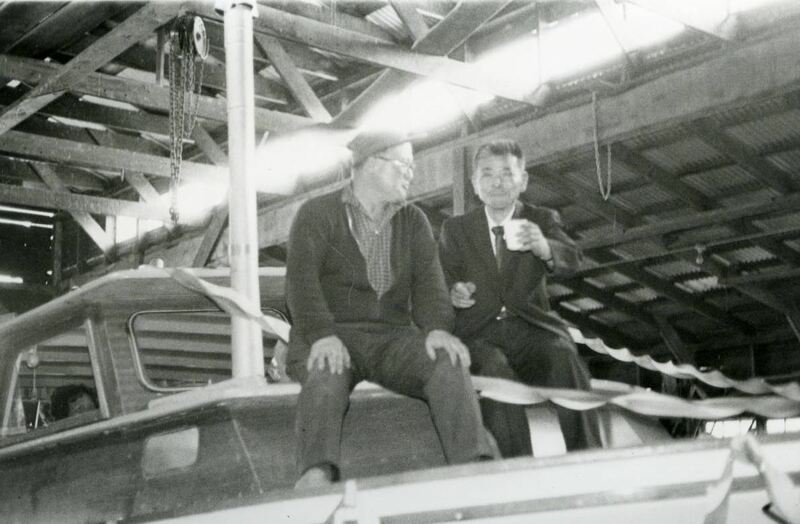 Here’s builder and owner toasting the launch of the gillnetter Alpha at the Kamachi Boat Works in 1978. Mas Kamachi in hat and glasses, boat owner Tojiro Suto in suit and tie.